Clafoutis comes from France and is primarily a cherry dessert recipe. 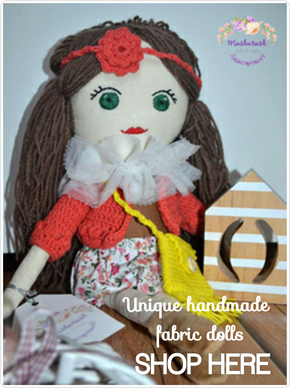 Its origins are found in the Limousin region of France in the nineteenth century. The name comes from “clafir” which means “to fill” and already gives us an important clue about how it is prepared. 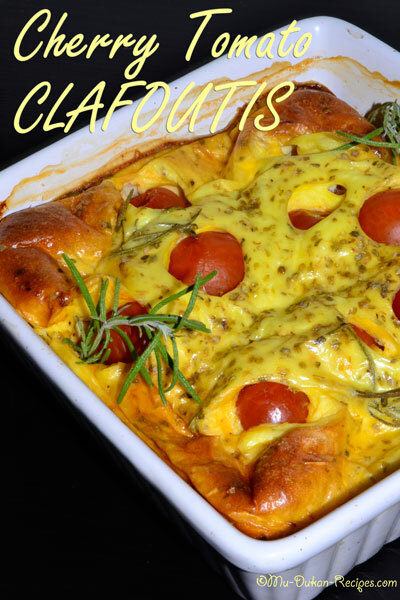 Currently clafoutis can be done in several versions, either sweet or savory. 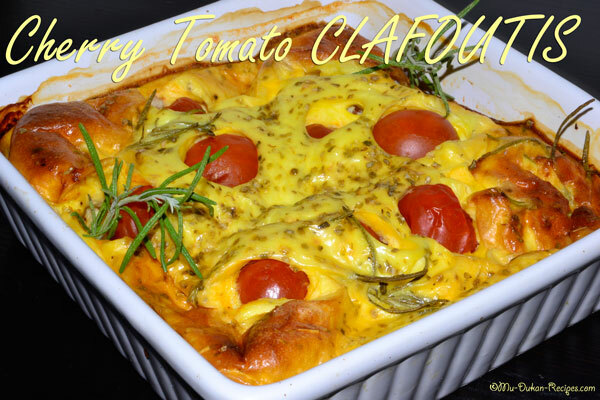 I propose you today a different clafoutis (savory), made in dukan style. In a large mixing bowl whisk together eggs, salt, pepper, corn starch and milk until mixture is very smooth. Stir in oregano, basil, cottage cheese and quark cheese. 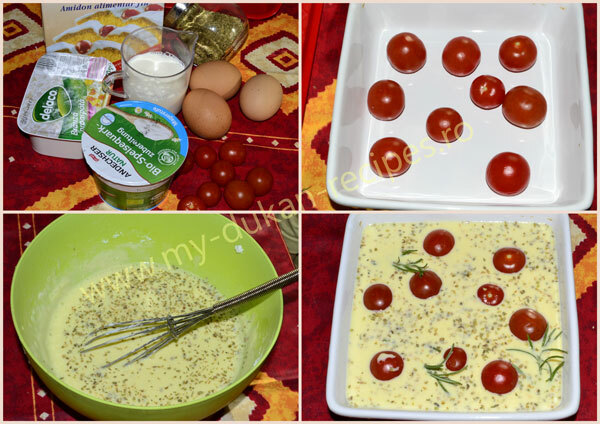 Arrange cherry tomatoes over the bottom of the tart dish and pour custard mixture over and around them. Garnish with a few whole basil leaves or rosemary. Bake for 35-40 minutes until clafoutis is lightly browned and a tester (sharp knife) inserted into the center comes out clean. Wait to cool before serving.